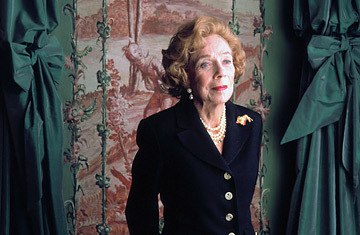 In one of the best known elder abuse cases, Philip Marshall advocated for Brooke Astor, his grandmother, and successfully stopped the financial exploitation and psychological abuse perpetrated by her son. I had the incredible opportunity to speak with Mr. Marshall and discuss his experience and key lessons elder justice professionals can learn from this case. Mr. Marshall discovered that his father was financially exploiting and isolating Ms. Astor and petitioned for guardianship, which removed his father’s power over Ms. Astor. Following the guardianship case, the Manhattan District Attorney’s Office, lead by its Elder Abuse Unit, opened a criminal investigation resulting in multiple convictions of elder abuse and financial exploitation including that of Mr. Marshall’s father. The results of the criminal trial informed out-of-court probate proceedings. Through the effort of the Attorney General, and in accordance with Ms. Astor’s testamentary wishes, charities were awarded tens of millions of dollars that his father had tried to direct to himself. Many older adults and family members may not have the multitude of resources which Ms. Astor had, yet this elder abuse case includes helpful lessons elder justice professionals can use when working with clients and families touched by elder abuse. Mr. Marshall had a deep understanding of advanced care planning and capacity because of his experiences with helping to care for other family members. As a result, he examined more carefully his grandmother’s cognitive capacity and realized that this made her vulnerable to abuse and exploitation. Increasing available information provided to families about guardianship, Power of Attorney (PoA), and capacity will help family members understand these complex issues and be able to recognize abuse and exploitation. This also highlights a particular role for medical professionals who can discuss the nuances of capacity and decision-making ability with patients and families during annual checkups particularly when there is a diagnosis of dementia. 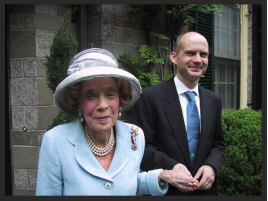 Mr. Marshall represents an example of a non-abusing family member who became an asset for the care of Ms. Astor and for the criminal prosecution of her abuser. While his father was the abuser, he feels that “to be complacent about elder justice is to be complicit in elder abuse” and felt compelled to act in order to ensure that his grandmother could live with dignity. Aging professionals may have difficulty engaging family members outside of the primary caregiver; however, it is important to look for opportunities to partner with other family members. These family members may be a great asset and also recognize abusive situations that of which professionals are unaware. A key component of this engagement is to provide families with counseling and support. This is necessary so that the family can support the victim and reporter and identify and support those family members who may have a harder time with the case or the steps needed to react. Mr. Marshall had great legal support and advice, which allowed him to understand that a guardianship would be sufficient to ensure the safety of his grandmother. As such, he pursued guardianship rather than reporting the abuse to Adult Protective Service or law enforcement. The process of responding to abuse, be it pursuing guardianship or a criminal trial, can be long and arduous, especially for those who witnessed the trauma of abuse and are required to testify. Mr. Marshall’s experience with the district attorney’s office was incredibly positive and they felt very supported through the entire process. Without such support many survivors many be re-victimized. Providing support and counseling throughout this process and after the cases are closed, or after the victim has passed away, is incredibly important. Mr. Marshall also highlighted the importance of connecting victims and families to help with the recovery process as well as to build a community where survivors can learn from and support each other. The process of reporting and responding to abuse can be incredibly difficult and traumatizing for victims, families, and friends. Learning from previous cases of what was helpful and what could have been better supported will allow us to improve the response to elder abuse and limit the trauma that victims and families face. 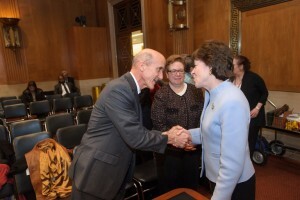 We are incredibly grateful to Mr. Marshall for sharing his story so that others may benefit, his dedication to the field of elder justice (as exemplified by his recent testimony), and his tireless dedication to his grandmother and her memory. When there is no family to reach out to and the abuser is a court appointed abuser such as DSS/APS there is no where to turn to defend your loved one who is incapacitated. There is absolutely no accountability in the system nor in Chemung County NY. Taxing the community for unnecessary claims and preventable surgical procedures Is Considered Abuse.. Isolation is abuse. I have not seen my husband since July 3 2013. Doesn’t and find that suspicious? Why does DSS , the county doctor want to keep me away? I report abuse to the proper authorities and our visits end. Since when does a donating for your loved one become punishment? Donald Thomson former employee of Davidson & O’Mara Law firm who is also the county attorney took the only voice my husband had. Sara, thank you for your comment. We at the NYC Elder Abuse Center are very sorry to hear about all you and your family have gone through. In case you have not already tried this avenue, we would like to make you aware of the Office of Children and Family Services (http://www.ocfs.state.ny.us/main/) Call Center: Adult Services Helpline which can be reached at 1- 844-697-3505 Monday through Friday from 8:30AM to 5:00PM. You can call this hotline to make a complaint about any local DSS APS unit and the call center staff can relay a message to the Bureau of Adult Services. Astor case hones on the financial part of elder abuse equation. In reality most elder abuse is embedded in various cultures for other reasons. In USA elder abuse is a socially abhorrent thing and is illegal and punishable while most other cultures do not care for it. It falls on the Social Workers of all hues and colors to make it a point to educate everyone they encounter about this difference. Our passivity causes most elder abuse here. The lesson here is aggressive SW to educate and inform all. I am 74 and a SW. I should know. Kohli, thank you for your comment and for raising such important points. Cultural competency is a critical component of elder abuse prevention, detection and response. We agree about the important role of social workers as well as other elder justice professionals who can actively look for elder abuse in their work. Thank you for being such a dedicated social worker and continuing to raise awareness of this epidemic. I she alleged incapacitated person (AIP) as requiring a stranger to begin making all of their personal decisions. But there is hardly any discussion of the AIP’s wishes or feelings about loosing the ability to make her own choices, or loss of privacy and the ability to choose their new caregivers, heirs, and/or companions. I want to learn more about the other side if this. What was it like for Brooke through the guardianship process. Is there a way I can get that story? Hi Toni, thank you so much for your comment. We were thrilled to be able to collaborate with Phillip Marshall on this piece and feature this angle to the story. Love your point though and agree about it being a really important perspective to highlight, if possible.